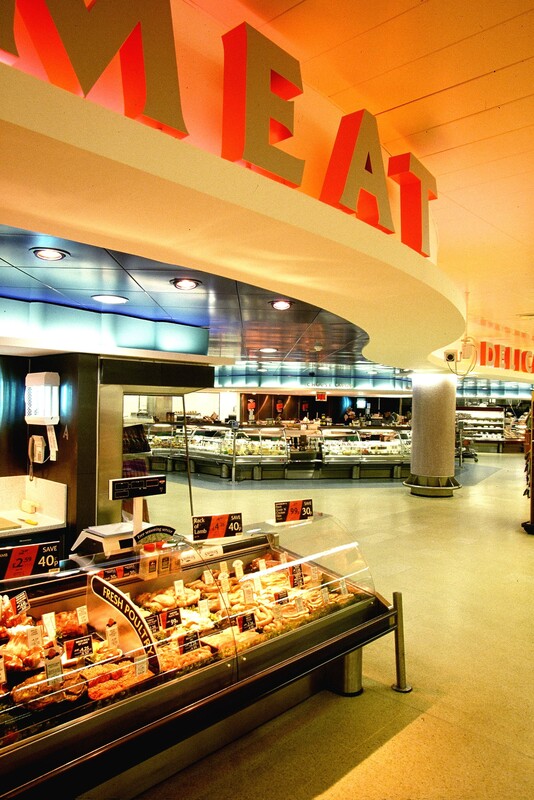 The store in Guildford was chosen as a pilot for a new design approach for the supermarket. 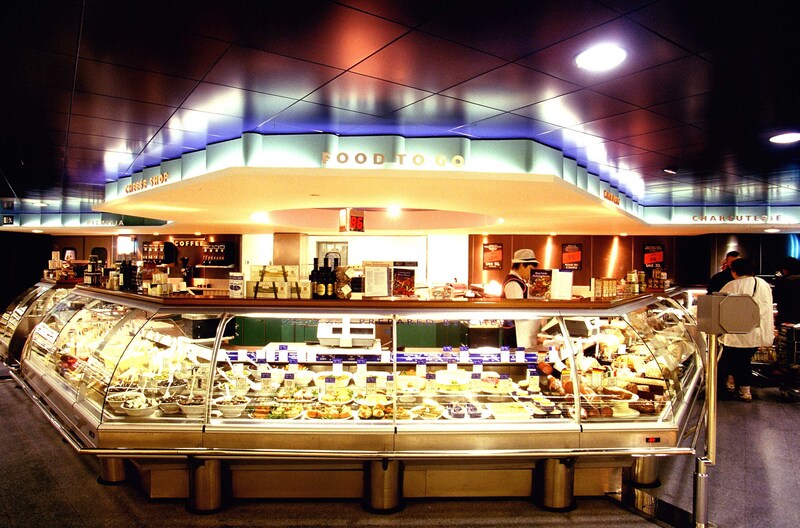 Making the food look glamorous in beautifully lit displays contrasting with the dark blue nigh-time ceilings. Chunky lettering identify the different departments all creating a shopping experience that lends a sense of intimacy and quality.